Today starts the International Open Access Week themed “Designing Equitable Foundations for Open Knowledge”. We are celebrating the International Open Access Week with an information desk in the library. 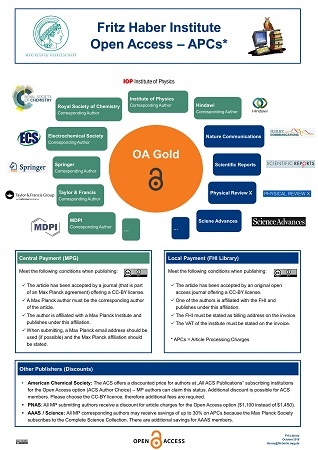 Therefor we have prepared some material including brochures, flyers and a poster on article processing charges for open access publications. There is the possibility to watch the documentary Paywall: The Business of Scholarship which focuses on the need for open access to research and science on the big screen on Thursday. We gladly provide you support regarding publishing in open access journals [internal] and open access repositories, with a focus on PuRe. Anlässlich der internationalen Open Access Week findet an der Freien Universität Berlin ein Workshop zu Wikidata statt, der sich an Wissenschaftler_innen richtet.